Grace has spent years watching the wolves in the woods behind her house. One yellow-eyed wolf—her wolf—watches back. He feels deeply familiar to her, but she doesn’t know why. For Grace and Sam, love has always been kept at a distance. But once it’s spoken, it cannot be denied. Sam must fight to stay human—and Grace must fight to keep him—even if it means taking on the scars of the past, the fragility of the present, and the impossibility of the future. 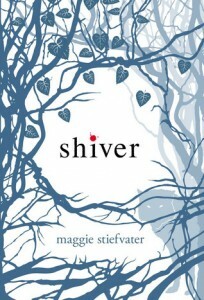 I decided to finally pick Shiver by Maggie Stiefvater from my TBR pile because of recommendations of some book bloggers who said that this book is a good Christmas winter read. Fine, winter isn’t really a thing here in the Philippines, but it’s been strangely hot lately when the weather is supposed to be cool, and I wanted something that would make me feel a little bit cooler, even if it is just fiction. When Grace was 11 years old, she was one of the victims of a wolf attack. How she survived was one thing, and this should have made her wary of the wolves that lived by the woods in their back yard, but instead this has pushed her into an obsession. She can’t stop thinking about the yellow-eyed wolf, the wolf that “saved” her. Sam lives two lives, but he’s never stopped observing Grace, the girl he loves. He never talked to her, until one shooting accident somehow changes him back to human and Grace had to save her. Now that they have talked, and spent some time together, they cannot deny the attraction. But Sam feels that this may be his last time being human, and he and Grace have to fight for their love even if it meant opening up ghosts of their past and dealing with the things that threaten to tear them apart in the present. The romance factor was pretty sweet and a lot intense, and I’m not sure if I should classify this as instalove. It seems like it, but also it doesn’t feel like it is, if that makes sense. I liked how it unfolded though, with all the shivering romantic tension and kisses and moments spent together. Of course I’m not particularly fond of how they were always left alone, although I liked how they noticed the absence of Grace’s parents in the narrative, even if I wished there was some change to that in the end. The he said/she said form was a good move IMHO, and I really liked reading about Sam’s struggle between his wolf and human self. There’s an overall sad tone in the book that makes it not really fit for Christmas. It was kind of a slow read, too. Part of it was my savoring of the words, but the other part just kind of made me wonder where the story was going, because there’s no real sense of immediate danger for Sam and Grace, just the sense of an ending for what they just started having. I almost gave up on it somewhere when I was 2/3 in, but I’m glad I didn’t because I really liked how it ended. I’d like to think of my own possibilities at where their story is going after the last page. But since I have a copy of Linger on my TBR, I may as well read it sometime. But if you ask me, I thought the ending was really enough.